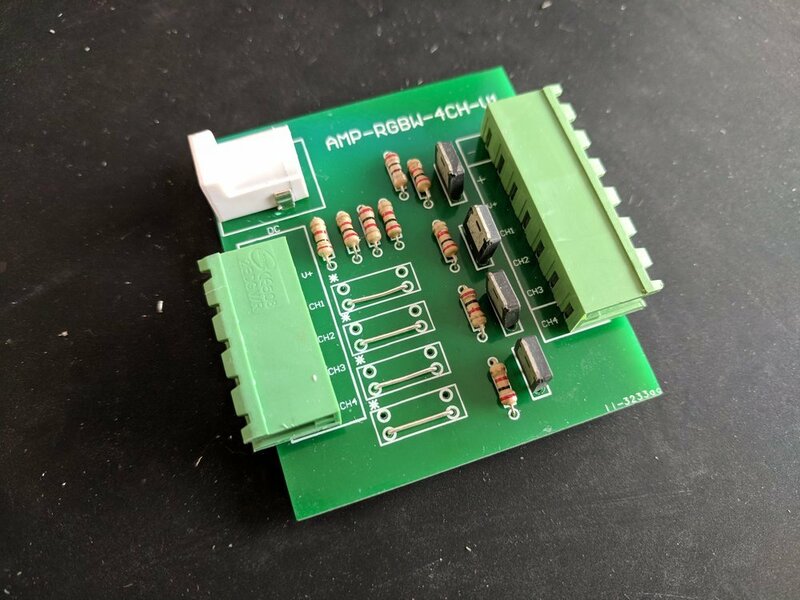 Sicherheitskritisch | CAN bus (AsysBus) component for smart home system "Home Assistant"
CAN bus (AsysBus) component for smart home system "Home Assistant"
Published 2018-05-20 in the category Smart Home. The AsysBus software was developed by Florian Knodt and was originally derived from a software called iSysBus. Basically the AsysBus is a firmware for AVR devices (e.g. 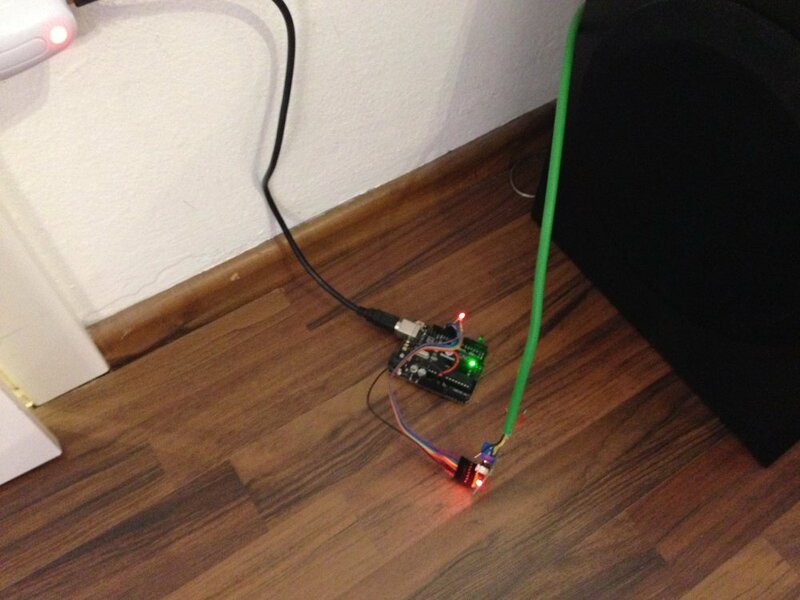 the Arduino platform) to create a cheap and robust classic bus network for embedded devices. The communication is realized via CAN bus that is mostly popular in automotive industry. 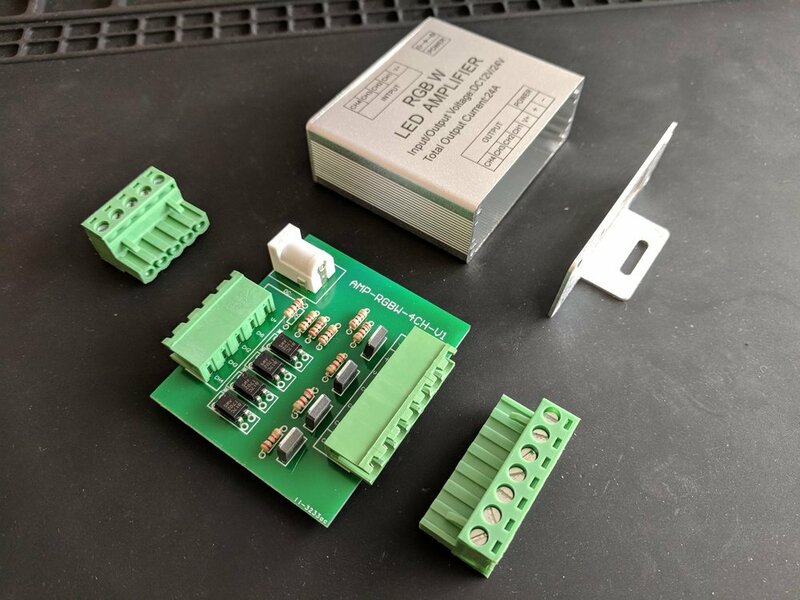 So you can easily create cheap nodes to control lights, RGB(W) light strips, wall buttons or any other possible device to interact with your smart home. But without integration of my other smart home components (e.g. my Philips Hues) that system would not make a lot sense for me. So i created a component to use AsysBus in the popular smart home software Home Assistant. Before, i used the software OpenHAB to have only one interface to control all of my smart home devices. But because OpenHAB is written in Java and runs extremely slow on a Raspberry Pi (at least on the Raspberry Pi 3 it takes around some minutes to fully boot up), is not that easy extendable (for me) and looks really old fashioned, i searched for alternatives: Unfortunately OpenHAB 2 is even more bad, because they use an inconsistent way for configuration (in my opinion): In OpenHAB 1 everything was configured via text configuration files which i pretty liked - transparent and easy to work with. But version 2 uses a crude "hybrid" approach, so some configuration is stored in a "black box" database somewhere and some configuration is still done via text files. I really hated that fact, so OpenHAB 2 was no alternative for me and i had to research a bit more. 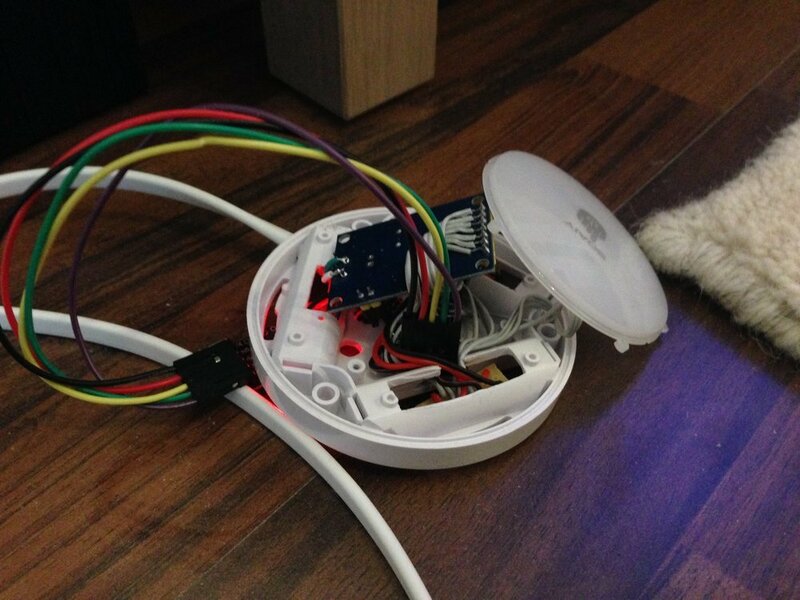 Fortunately i found the Home Assistant project which is open-source, also supports a huge amount of smart home devices, is written in modern Python 3 and finally has a really big community. Also the look and performance is really nice - on a Raspberry Pi 3 the full boot takes under one minute. To sum up, a bus network for your smarthome only worth if you are a) paranoid b) have fun with nerdy bus cables in your apartment or c) need a robust and very reliable network for some case. 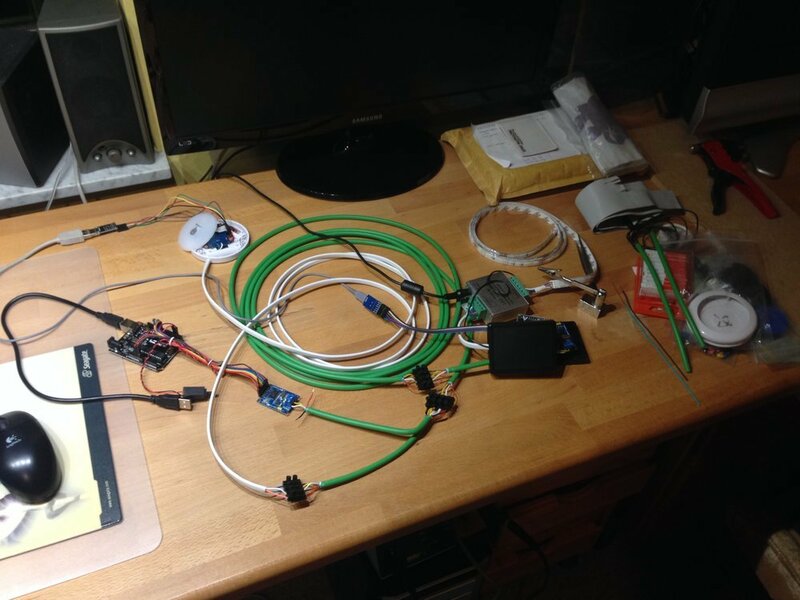 The nodes are connected with classic bus topology via a KNX cable (which is cheap, has the two required data wires and two power wires). 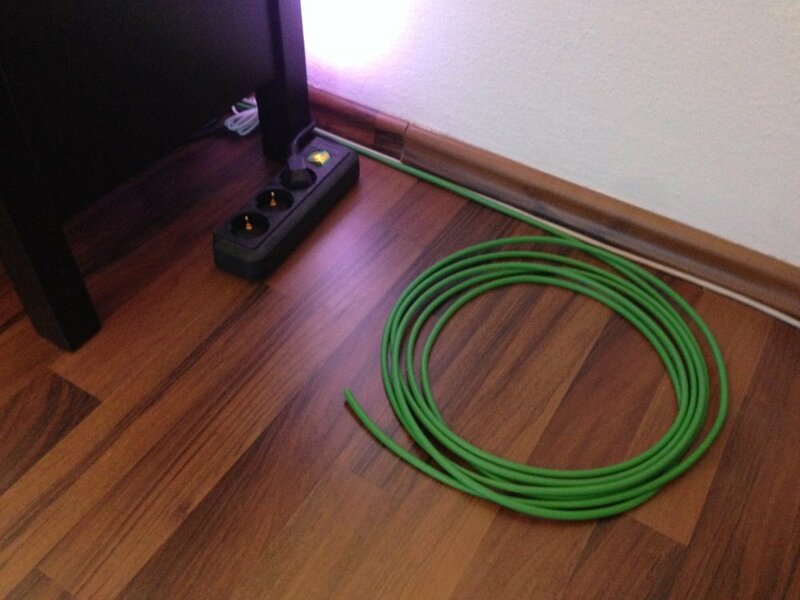 To avoid having a small power supply for each node, i powered the nodes via the power wires of the KNX cable by a bigger power supply. Also one powerful high quality power supply is more efficient that a ton of small, cheap (and probably inefficient) power supplies for each node. I created three types of nodes for my use. A bridge node, a wall switch node and a RGB(W) light node. The bridge node is the bridge from the AsysBus/CAN bus network to Home Assistant. It is needed to connect the bus network to the device that runs Home Assistant (e.g. a Raspberry Pi). Fortunately the AsysBus software already provided a "routing" feature, which uses some abstraction of the communication interfaces: So for the CAN bus communication it just implements an abstract interface. Another implementation of that interface is the UART interface. So all communication data from one interface (e.g. CAN bus) is automatically routed to the other interfaces (e.g. UART). 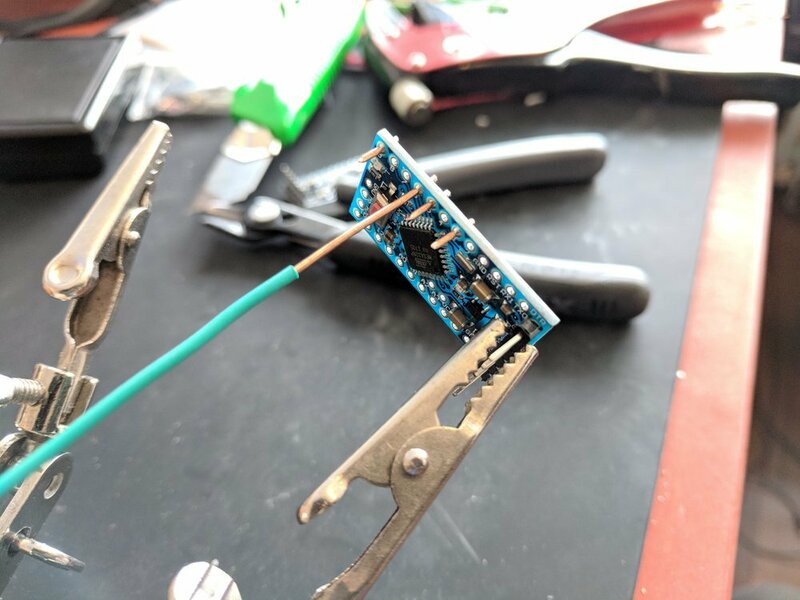 Basically the bridge node provides a serial port and reads the data on the CAN bus and writes it to the serial port and reads data on the serial port and writes it to the CAN bus. This node is basically a simple wall switch that allows you to trigger actions when touching it. So you don't need to get your smartphone out to switch on a light scene for example. My design uses a capacitive touch sensor for touch sensing and a LED for touch feedback (like in my other smart button project). Additionally i added a small vibration motor to add some more feedback. The vibration motor of course is not directly driven by the micro controller because it draws too much current. Instead a transistor, a fitting resistor and a flyback diode is used to switch the motor without damaging or destroying the micro controller. I used a vibration motor from a old one-way teeth-brush (alternatively extract it from an old phone). 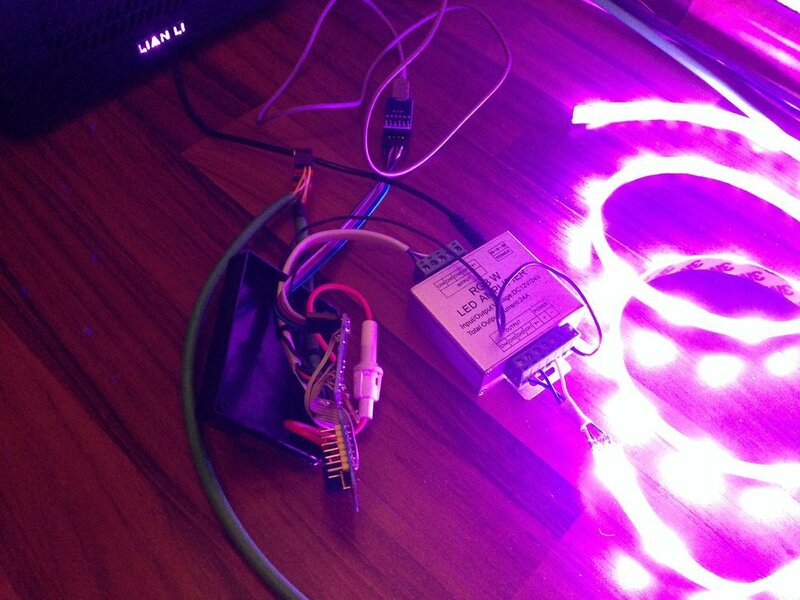 The light node simply controls a RGB(W) LED light strip. All 4 color channels of the LED strip are connected to output of the "amplifier". The input channels are directly connected to the micro controller PWM capable digital output pins. The Home Assistant component that understands the data from the bridge node and provides a platform for Home Assistant to include the nodes as normal switches or lights. 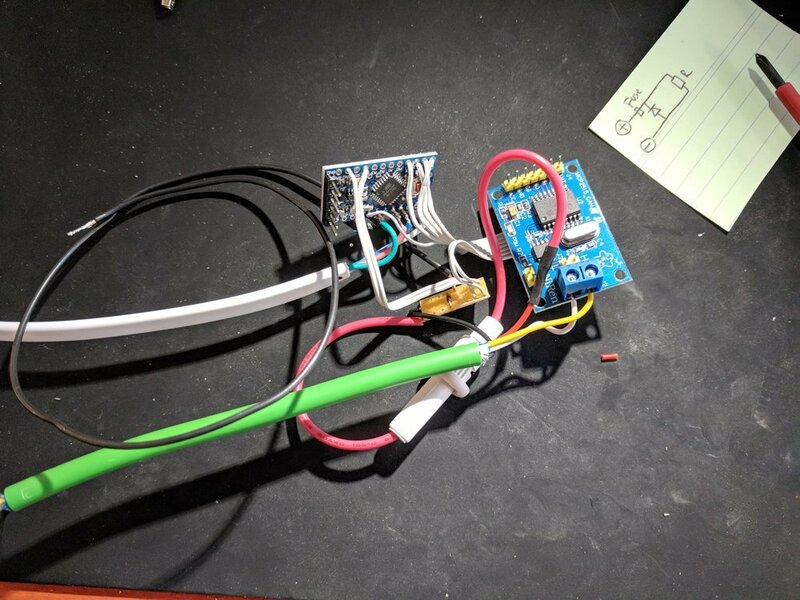 Now you need to connect your flashed bridge node to the device you running Home Assistant on. It should appear as a serial device, e.g. /dev/ttyACM0. If the serial ports differs, you need to change it of course. After a restart of Home Assistant, the components should included in your setup. Otherwise look for error messages in the log (mostly wrong serial port) and fix the problem. Now you can use the components the same like Philips Hues lights etc. The light nodes supports most features of Home Assistant (e.g. delayed transitions). And the switch could be used to trigger scenes for example.